Do you need a workshop dedicated to the essential skills every UX practitioner should possess? Email us at info@uiuxtraining.com. Digital user experience (UX) covers every interaction a user has with a digital product or service from the moment they download an app (or pick up a physical product from the shelf). As such, designers must master a wide range of UX skills. This article examines 15 of these essential UX skills. For ease of understanding, the essential UX skills have been divided into four categories: Interpersonal, psychology and process, research and technical design skills. 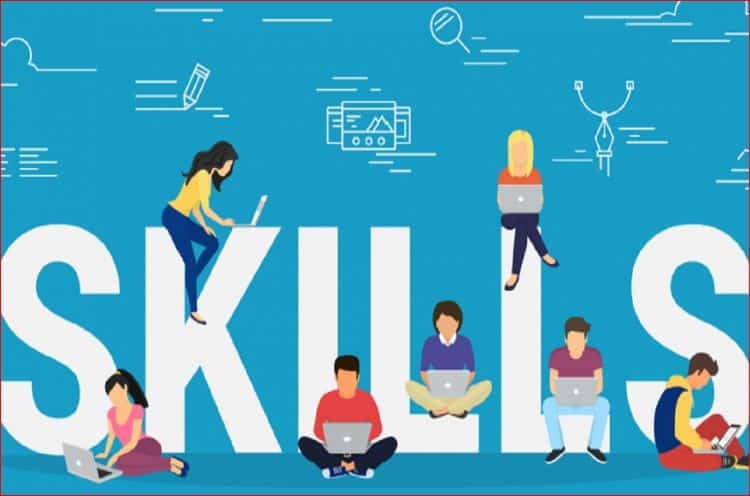 These UX skills have been curated from various industry sources including app developers, UX tool developers, online course providers and universities. Although there is debate about whether it makes sense to split the user interface (UI) designer and UX designer roles, UI designer skills are incorporated below. Essential personal skills include those innate and acquired attributes that are necessary in today’s UX environment together with knowledge about what makes people tick. If there is one essential UX skill that rises above all others in importance, it is the ability and willingness to work as part of a team. UX is an important cog in a much bigger machine, and designers have to forge strong partnerships with all key players in the development process. This includes both internal colleagues (stakeholders, developers, customer service reps, marketers, etc.) and external people most important client and end users and customers. UX design should be a participatory process as much as possible. The designer should be comfortable hosting workshops and training sessions and, in some cases, collaborating online for crowd-sourced input. Collaboration should involve experimentation and feedback to ensure the project benefits from creative input from diverse sources. Teamwork and communication go hand in hand, and flawed communication will result in a flawed final product. As digital design education providers Designation put it, “Design doesn’t sell itself. It is ‘sold’ by the designers who worked on it.” As such, UX designers are expected to present to stakeholders at all levels. UX Designers must be able to articulate their decisions and concepts clearly and concisely and support these decisions with evidence where appropriate (see ‘Research Skills’ below). When meeting with clients, UX designers should use active listening to determine what their business goals are and what they are hoping to achieve with the product. They will also be expected to choose appropriate metrics to track results. On a creative level, the best UX designers will be skilled storytellers, able to come up with a variety of engaging ideas to create a product capable of meeting their clients’ goals. A UX designer with empathy will be a valuable asset to any team. How a user feels about a product lies at the core of the UX design function, and an empath is someone who connects deeply with what users want. Empathic UX designers find it easier to drop their own ideas and focus solely on what will deliver the best end user experience. A product that provides a great user experience is by definition a great product. A grasp of cognitive and behavioral psychology will give UX designers the edge when understanding how end users are likely to react to a product. They will have a deep understanding of concepts such as social proof and how to use scarcity and reciprocity to persuade users to take action. A successful UX designer will both understand and feel comfortable working within an Agile development process. The traditional role of a designer must give way to a more flexible role of design facilitator and researcher. The most valuable UX designers will be those who can think on their feet and quickly create and recreate prototypes to fulfill a fluid brief. Essential business and strategic skills include the ability to tie design projects into the overall business strategy and to understand how to research, track and test customer response. A UX designer with business acumen will always design with the goals of the wider business in mind. 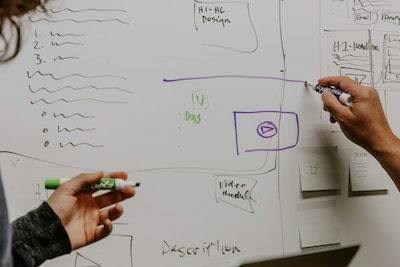 Typically, UX designers gain this understanding by conducting stakeholder interviews, examining previous usability and marketing studies, and reviewing relevant metrics. By understanding standard business metrics, strategic-minded UX designers will be able to monitor how their design work impacts business performance. They will also be able to translate company goals and objectives into a digital experience. Helping clients to understand their target user is an essential UX skill. This involves planning, conducting and analyzing quality user research to develop personas. Creating a persona makes it easier for the design team to relate to users by seeing them as real people. The exercise of creating a persona and the persona’s journey (see below) make it easier to identify real pain points and design effective solutions to address these pain points. UX designers can only understand the full picture if they know every touch point through which customers interact with a product. Understanding and mapping user flows enables designers to identify points where the user’s experience is sub-standard. The team can then focus on improving that part of the flow and developing a journey map. I/A brings the principles of design and architecture together in a digital design environment. A UX designer with I/A expertise will be able to quickly organize complex information within a website design to optimize user experience. The ability to test every element of a design will reduce the chances of errors creeping into production. Effective testing requires a methodical approach and a keen eye for detail. Technical design skills refer to the processes and tools a UX designer needs to master. Here is where there is greatest overlap between UX and UI designers. Wireframing and prototyping are two of the most fundamental skills that a UX designer is expected to master. Wireframes are sketches designed to illustrate how a single app screen or webpage will work. All elements of the interface are present in basic form, often in gray scale using simple lines and boxes. Prototypes demonstrate the connections between wireframes and include navigation elements. It is here where the interaction between the user and the system can be experienced and tested for the first time. UX designers are expected to rebuild prototypes quickly in response to feedback to keep the workflow on track. To understand a customer’s response to the visual elements of a design, a UX designer needs a deep understanding of all aspects of visual design theory and the skill to apply this theory to real-world design problems. Visual design language includes layout, color, typography and the choice, treatment and placement of elements such as icons, illustrations and photographs. Sketch is a powerful and intuitive Mac-based graphic design platform used by designers working on some of the most popular apps and websites in the world (e.g. Apple, Facebook, Google). Adobe products regularly make the top ten in graphic design software lists. At the very least, a proficiency in Photoshop, for photo editing, and Illustrator, for creating bespoke illustrations, will stand a UX designer in good stead. 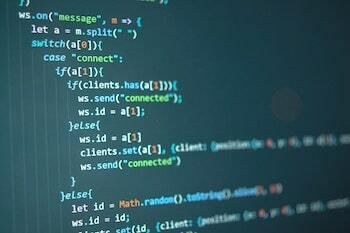 UX designers with well-developed coding skills are valuable assets to any team. They will share a mutual understanding with developers of concepts such as modular design and how to leverage reusable code. Code savvy UX designers will also know which functions are supported by which browsers and will be accustomed to checking for cross-browser compatibility. Problem solving. UX designers with strong problem solving skills can use a combination of critical and creative thinking to create workable solutions in response to a complex brief or feedback. UX designer inspired by their field will look beyond the obvious, ask insightful questions and keep up with industry trends. Responsive design. UX designers who understand specific responsive design problems (e.g. determining breakpoints and CSS media queries, working with Bootstrap admin templates and UI kits, etc.) will be able to work closely with app and website developers using responsive frameworks. A digital product design platform used by UX professionals. Adobe Indesign. Adobe’s desktop publishing (DTP) software for creating print and digital layouts. Zeplin is a collaboration tool used by designers and engineers to save production time. A diagramming and graphic design software for Mac, iPhone and iPad. At WrapPixel, we believe in providing the best, efficient free/premium UI kit in respect to help developers to create effective web apps and allow them to work closely using responsive frameworks. Learn how to leverage the skills outlined in this post to engage users. Read this great Toptal post about UX product design.